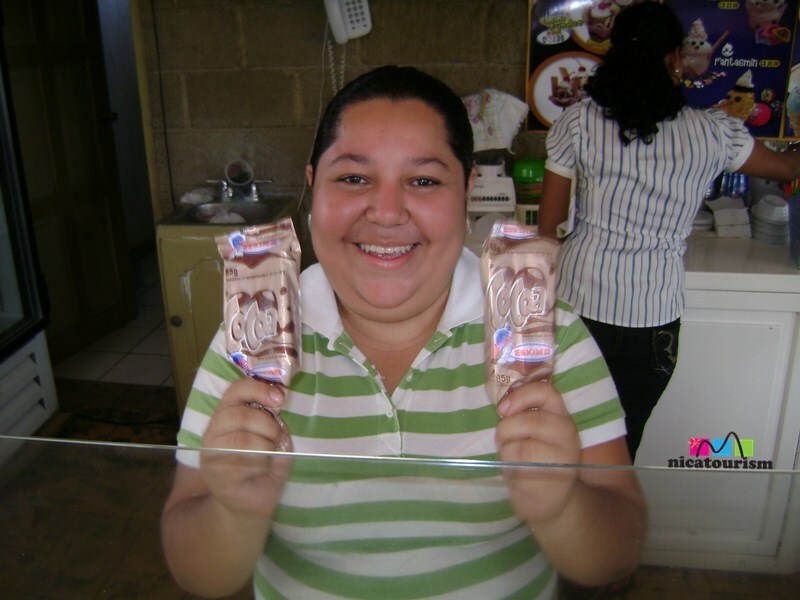 This week our friends at Eskimo decided to put their Paleta de Cocoa on sale for $0.20. It's basically a fudgesicle (remember those) but a lot cheaper. These were served with a friendly smile at the Eskimo on the NW corner of Central Park in Chinandega, Nicaragua. We need to gulp a few of these down daily as the temperatures have been in the high 90's. And as you know, Chinandega, Nicaragua is one of the hottest parts of the country.